Plants and Robots is an exciting new STEAM (Science, Technology, Engineering, Arts and Maths) project for primary schools, combining robotics and digital art activities. 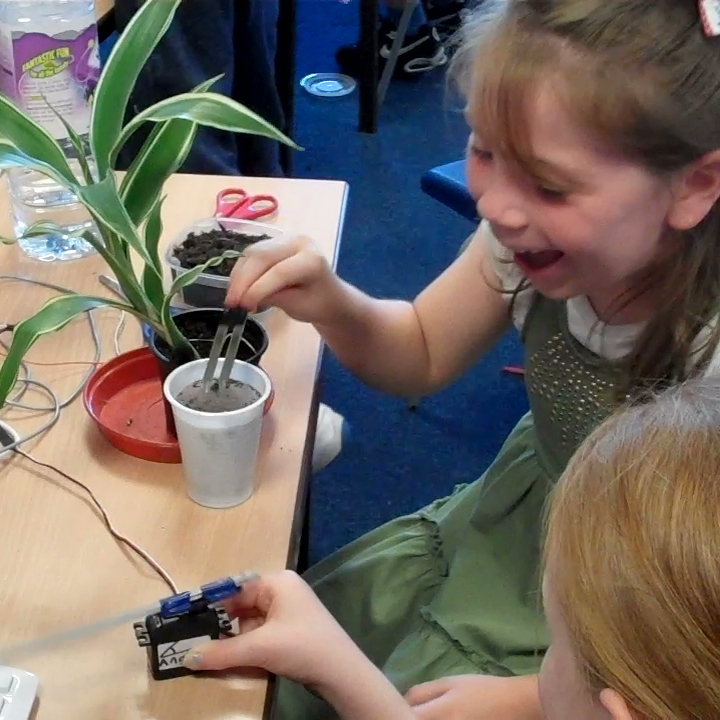 Students taking part in the project used Raspberry Pi computers to build plant watering robots and explored the social impact of new technology on food production through creative writing and discussion. Along the way students developed their programming, biology and creative skills, examining food production from a range of creative perspectives. The project is a collaboration between FACT, Curious Minds, artist Neil Winterburn and three primary schools in St.Helens, St Ann’s Primary School in Rainhill, St Mary’s & Thomas Primary and Lansbury Bridge School & Sports College. To find out more go to the Plants and Robots website.